Can art by Aesthetic Apparatus. 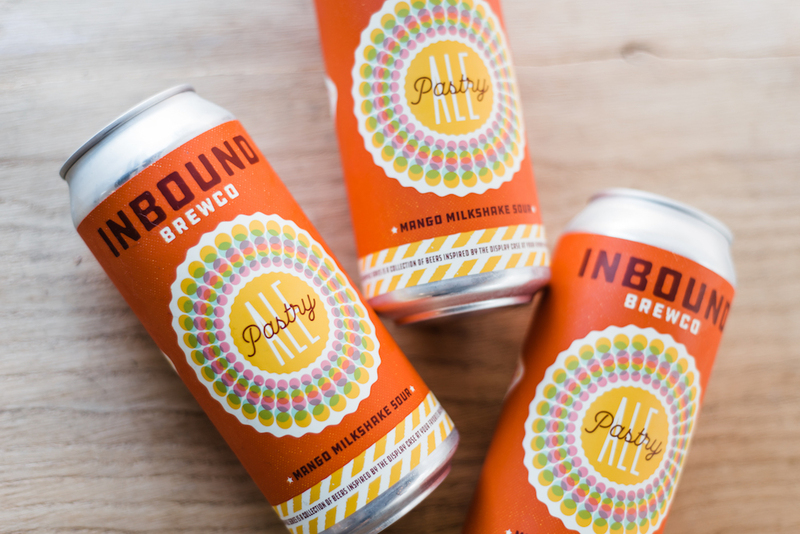 We’re thrilled to announce the second iteration of the Pastry Ale series is on its way! The first iterations of the Pastry Ale series are inspired by our Gose ale, a sour style beer. Our traditional Gose is tart and fruity with refreshing, bright flavors that compliment the sour kick you get with each sip. The tartness comes mostly from Sour Patch Kids (not really), but also from Sour Pitch, a lactic acid bacteria we add in the kettle, which brings characteristics not just of tartness, but also citrus and green apple. We started fruiting our Gose during fermentation to highlight its tart and sometimes sweet fruit flavors. The Gose’s low pH creates a crisper, sharper flavor than other styles, which in combination with low bitterness and unique tartness, lend this style well to fruit additions. To create the “milkshake” effect in the Mango Milkshake Sour, we add lactose and vanilla, which enhance the sugary character of the fruit and mellow the tartness of the lactic acid bacteria. The effect is similar to ordering your mango custard with a dollop of whipped cream. It’s crushable, shareable, and refreshingly unique. We released the Wildberry Milkshake Sour in February with the same can design. This round, we updated the colors so you can keep your Untappd checkins all sorted out. We’re keeping these releases extremely limited, which means you have to stay on your toes if you want to get your mitts on a 4-pack. The full list of locations to purchase cans will be available on our Instagram stories and Twitter feed starting Tuesday April 2, plus we’ll update this blog with the list as well. Crowlers will be available for purchase in the taproom beginning Tuesday as well. You can plan to see a new iteration in the Pastry Ale series every two to four months.